While the Rochester summer is never long enough, the heat can be overwhelming when it arrives. Getting the temperature under control in your home is what we do. 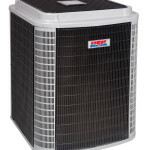 Want the best options in keeping cool, look no further than Heil and Rheem. This is not a full out shopping guide, but we need to give you some guidance before going shopping for your air conditioner. 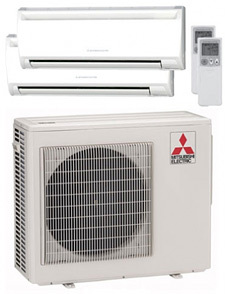 Air conditioner manufacturers are required by law to evaluate and rate their equipment according to its energy efficiency. This rating is known in the industry as a SEER, or Seasonal Energy Efficiency Rating. The higher the SEER, the more efficient the equipment. Higher SEER models generally cost more, but can easily make up the difference by reducing your home energy bills over the long run. We will sit down and help you figure out how that works. 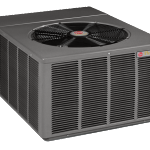 Sizing an air conditioner isn’t just about cost or even the one SEER rating. 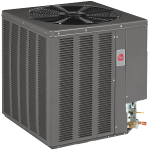 Too small of an air conditioner won’t keep your home sufficiently cool. 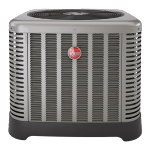 Too large of an air conditioner and the system will cycle more, wasting a lot of energy and putting strain on the compressor. 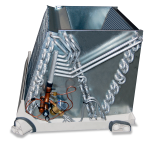 Looking for small duct systems? 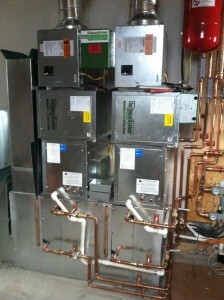 Huether is the leader in installing and designing small duct systems from Unico. These small duct systems are perfect for retrofitting historic or older homes and offer amazing efficiencies for spaces that were too small for a traditional system.